Stepping into the world of fashion and glamour we are right here to bring you the most inspiring seasonal and festive collections enriched with plenty of designs which are quite impressive and beautiful. 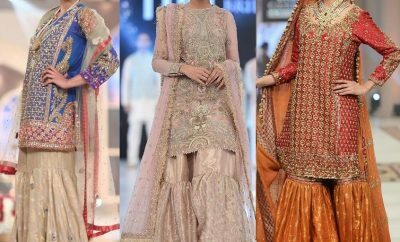 In order to make your Eid day much more colorful, cheerful and memorable these classy assortments will serve you the best by providing stunning festive outfits for the festival. In the previous session, when all the designer wear and branded summer collections were shared, among the ones which were greatly liked by the public Bareeze stood most prominent. After getting huge response on their previous collection, Bareeze has once again thrown a classy range of wonderful outfits in its very new and fresh festival assortment, The Bareeze Eid Collection ’18. 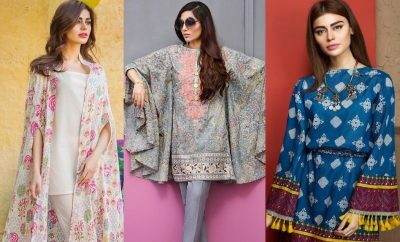 The idea and trend of festive wears has a bit changed in this collection by introducing fancy semi formals instead of the same casual lawn prints that are introduced by every second brand since past few years. 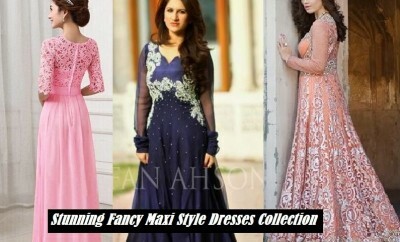 So instead of wearing the same designs every year, you must try something new this time and for that this classy assortment can surely serve as the best options. Let us explore the entire Bareeze Eid Collection and make your Eid looks more elegant. Bareeze is a menswear and women’s wear luxury Clothing brand which was launched in 1985. The brand with its exquisite products is also famous for designing beautiful off-the-peg garments and accessories for kids. Bareeze has now turned into a complete fashion and lifestyle portal coming up with new and innovative designs. With the unmatchable designs and prints for every season, Bareeze has made a way towards success and has certainly won a million hearts. Lady of this era can put her confidence into this brand with no hesitation and shop for her casual and semi-formal wear from this leading fashion and clothing house. 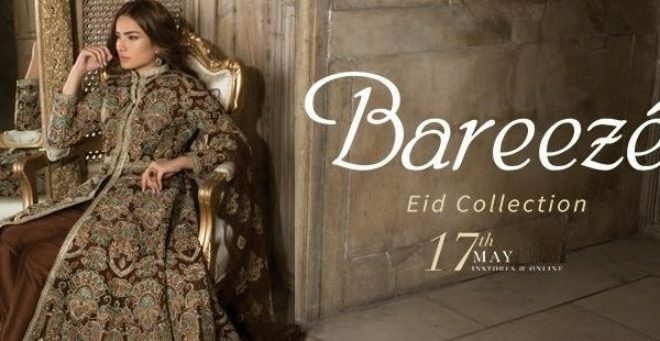 Bareeze Eid Collection 2018 has been launched with most sizzling and dazzling festive prints of the season beating all other branded and designer wear collections and seeking customer attention at first place. The beautifully embellished three piece embroidered fancy suits of this collection are appropriate and perfectly suitable to be worn on the upcoming festival. This year like always Bareeze has focused on formal and fancy festive designs instead of sticking to the same lawn prints. With a special focus on designing fabrics with festive flavours, Bareeze has managed to bring a true royal essence in its designs this year. Bring out the royalty in you by wearing these outclass embroidered classics and feel like the most fashion forward lady on earth. Are you ready to heat the beat and bring the stylish queen hidden inside you by following this assortment? 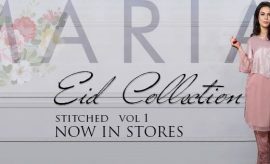 Bareeze Eid Catalog 2018 is right here in this section being explored completely for you ladies to make your selections and fill up your festive closets in the perfect way. The gorgeous Alizeh Gabol has made the outfits shine with more allure by wearing them in the Bareeze festive campaign. All the articles of Bareeze Eid Prints Range have been displayed here in a clear view. Shine with the most adorable and classy look this Eid by going for this astonishing navy blue festive chiffon attire. Get it stitched in the same classy style as displayed here, if you wish to enjoy a different festive look this time. Here is another shade of blue ready to help you wear a true regal and royal class this Eid. This chic embroidered chiffon festive dress is enriched with a Mughal maharani touch. If you are interested in wearing something filled with festivity and tradition, then this beautiful shade of green is a perfect option. So, be the Maharani of your town by wearing this outclass Mughal style eid outfit by Bareeze. This maroonish or cherry red colored Mughal Maharani festive attire is the second best article of the Bareeze Mughal festive series. Shocking pink is one favourite color of all. When it comes to festivals like Eid, this color becomes the most prefered choice of girls. This fully floral embroidered chiffon suit has a special Jamsi ki Rani royal touch. 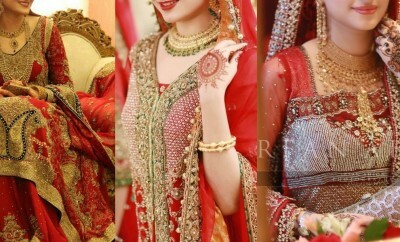 Wear it this Eid to wear that Rani or queen look. This beautiful brocade eid dress has intricate embroidery spread all over it. It is perfect for formal Eid gatherings and parties. The neat embroidery on chiffon looks just like tilla work making this formal eid attire a fancy option for the mega festival. This color seems perfect to fit all age groups especially household ladies. Besides fancy eid formals and embroidered classics, Bareeze as always has also introduced casual or semi-formal swiss lawn suits adorned with chic embroideries in eye catching hues and contrasts. The following design of embroidered Swiss lawn is perfect for Eid festival this year as the day would be hot and so would be the eve. To stay comfortable all day, this soft Swiss lawn festive attire would be great. Have a closer look at all the featured designs of the Bareeze Eid Catalog 2017 in the photo gallery just posted below. You can get these amazing Eid dresses by the Bareeze Eid Festival Collection from the nearest Bareeze outlet or shop online from the Bareeze online store. 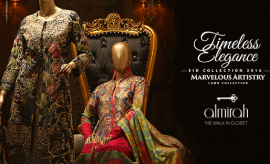 Enjoy this Eid with most astonishing look by wearing these outclass Embroidered Eid Classics which are all holding a true color of festivity and divinity inside them. To search more on the festive collections, keep visiting StylesGlamour Festival Gallery.